“You Say” has been on Billboard’s Top 100 for the past 26 weeks, slowly inching its way closer to the number 1 position. 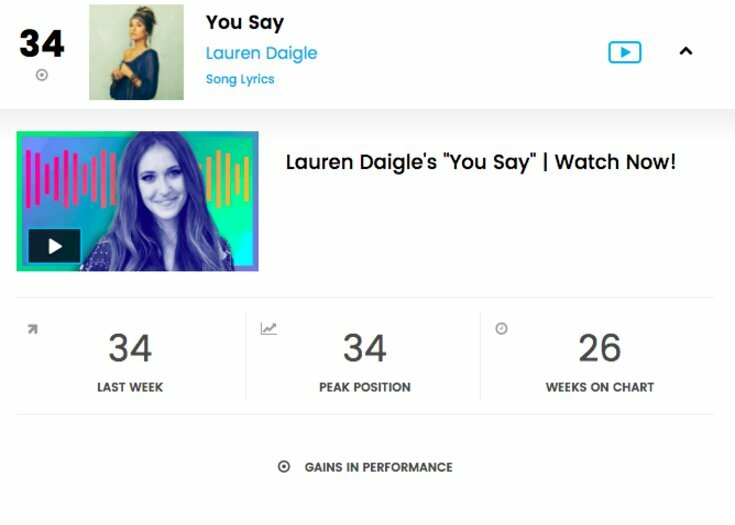 Not only has she reached number 34 on the Billboard Top 40, but “You Say” has been sitting at number 1 on the Christian Top 50 for 25 weeks now. It has been on the charts for 27 weeks total. This week Daigle also became the first female artist to be in the top 10 for both the Christian Airplay category as well as Adult Pop Songs. Daigle’s team tweeted out her excitement about the news, announcing her momentous achievement. Part of the reason the Christian singer has seen a rise in popularity with her song “You Say” is due to radio programmers around the country welcoming her music with open arms. Chase Murphy from KHMX Houston PD revealed to Billboard that he added “You Say” as a research project at first, to see how their audience reacted to the Christian song. Jill Roen, program director and music director at Adult Pop Songs reporter KSTP Minneapolis said that whether or not people knew Daigle, the song resonated with many. “A segment of our audience is familiar with Lauren Daigle from Christian radio, but whether they know her or not, the song connected quickly,” Roen told Billboard. KSTP program director Leighton Peck said that the similarities between singer Adele and Daigle’s voices also drew in an audience. “I think people from Christian radio know Lauren and love the song, and most of our listeners think it’s an Adele song until they realize it isn’t through our on-air promotion,” Peck said. 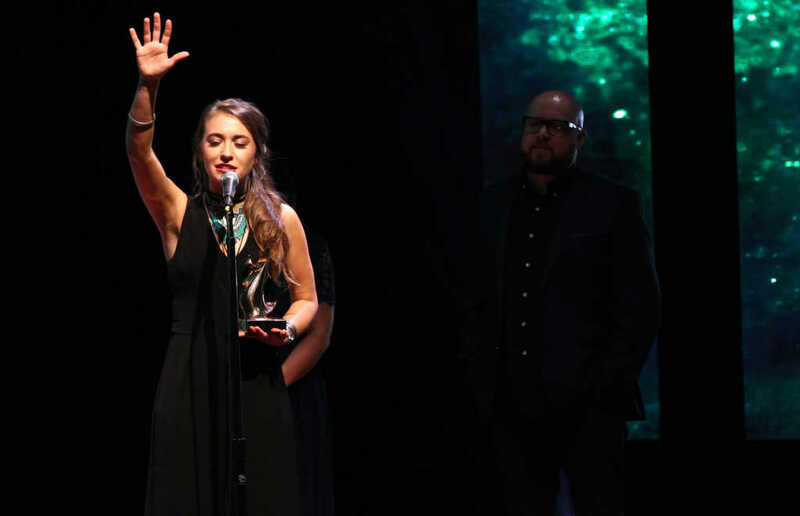 This month, during an interview with 104.3 FM, Daigle announced that she doesn’t see herself as much as a Christian artist as she does a regular artist. In an interview with The Christian Post in October, Daigle stated that just because her music held cross-over appeal, did not mean she was leaving one genre for the other. “[My music] is having crossover appeal, but it doesn’t mean that I’m leaving one for the other or that I’m going to be swept up by one thing or the other. For me, it’s like, ‘Oh, everything just got even more clear.’ Everything just got clearer as to why it is that we go and love people who are outside of the walls of our church, outside of the walls that we’re comfortable with,” Daigle said.